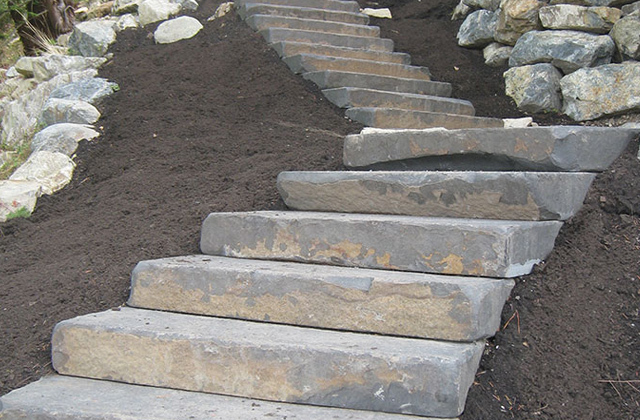 This stone step is thermaled on the top surface and has a natural weathered edge on the front and sides that will range from browns to greys. The back is sawn to make setting simple and easy for installation purposes. 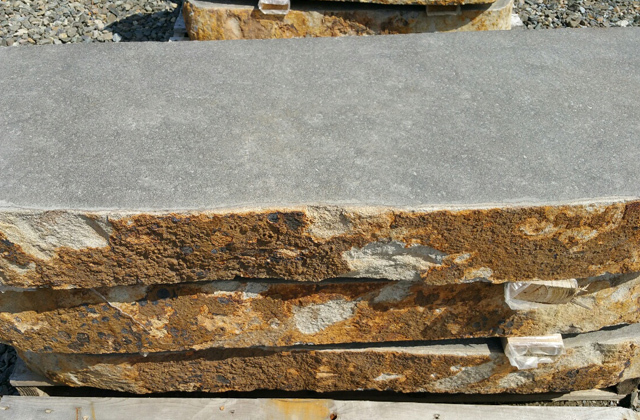 Stone is sold by the each and they are 6-3/8″ in thickness. The depth is varied from 12″ to 18″ and length will be approx 48″. Other finishes are availble as a custom order.